INDIANAPOLIS (CNS) — Since Pope Benedict XVI announced his resignation Feb. 11, various commentators on church affairs — and also some church leaders — said that reforming the Roman Curia needs to be a priority of the next pontiff. “That’s a struggle for a bureaucracy that has been around for the better part of two millennia,” he added in a Feb. 21 interview with The Criterion, the archdiocesan newspaper. At the same time, Archbishop Tobin takes a balanced view when reflecting on the curia — something he said he didn’t always do in the past. “As one who used to severely criticize the curia before I worked there, I was told by one historian that you have to remember that curia saw the church through world wars and depressions and kept it going, even when there wasn’t a pope,” he said. 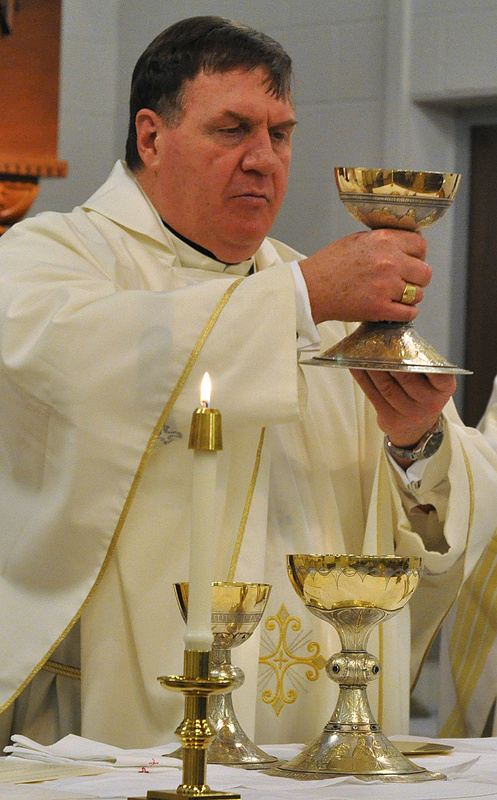 He served in the curia as secretary of the Congregation for Institutes of Consecrated Life and Societies of Apostolic Life from 2010 until his appointment to lead the Archdiocese of Indianapolis. Before that, he often worked closely with the curia when he served as superior general of the Congregation of the Most Holy Redeemer, known as the Redemptorists, from 1997 to 2009. One of those trends, he said, is the tendency of Italians to dominate the staffs of the various Vatican offices. Although the congregation he served has a Brazilian cardinal as its prefect and formerly him, an American, as the person second in charge, Archbishop Tobin noted that the majority of its approximately 40 staff members were Italian. This tendency could sometimes lead, Archbishop Tobin said, to the congregation getting involved to an unnecessarily high degree with matters dealing with religious orders in Italy. He also noted that the trend of filling the curia with Italians increased during Pope Benedict’s papacy in part because of the management of the Vatican’s secretary of state, Cardinal Tarcisio Bertone. But internationalizing the curia, including its lower level positions, can be challenging, Archbishop Tobin said. He also noted that Pope Benedict may have chosen to resign now, as his own strength is diminishing, to avoid problems with the curia that happened in the final years of the pontificate of Blessed John Paul II when his deteriorating health made it difficult for him to take decisive action in curial affairs. Archbishop Tobin said that there is “some truth” to the belief that there was some “inertia” in the curia in the years leading up to Pope John Paul’s death in 2005. Gallagher is a reporter at The Criterion, newspaper of the Indianapolis Archdiocese.